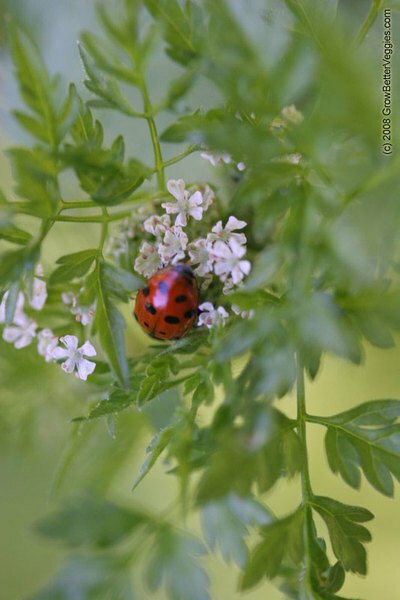 We love our Chervil around here, and of course we very much like to see the ladybugs enjoying it too. Chervil is a herb often used in French cooking It has a subtle, Tarragon flavor. Much easier to grow than its fussy taste-twin, Chervil is best sown directly in the garden bed (rather than starting it in flats in the greenhouse). The soil should be a neutral Ph of about 7, which means I've got to add lime to my acidic soil. 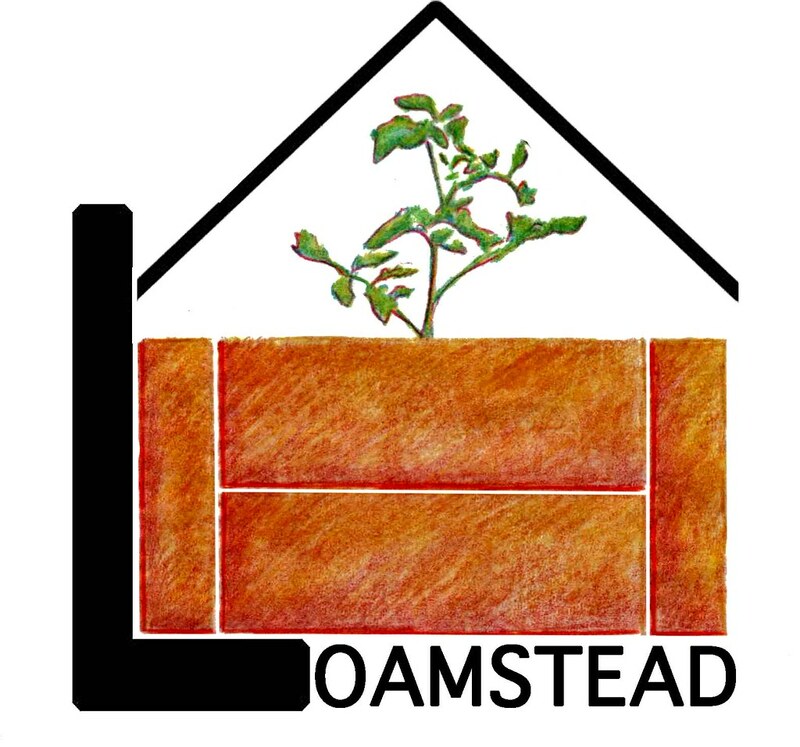 Keep the bed uniformly moist after covering the seed a 1/4 inch. Once it's up and growing, I don't even thin it. I just let it do its thing. The chef loves using the small, fine leaves as well as the beautiful, delicate flower. As you can see, the ladybug loves it too.